New self-opening sack (SOS) flat handle machine at National Paper Products Company enhances paper bag quality and delivery. National Paper Products Company installs new SOS flat handle paper bag machine to meet growing market demand for high-quality consumer packaging. The new machine runs with 1 or 2-ply paper, producing thicker and stronger SOS paper bags which better secure flat handle properties. The new SOS flat handle paper bag machine also improves specially precut bottom shape which facilitates opening, filling, and reclosing bags. The top-of-the line, US-made SOS paper bag making machine increases output at National Paper Products Company’s Dammam-based plant. 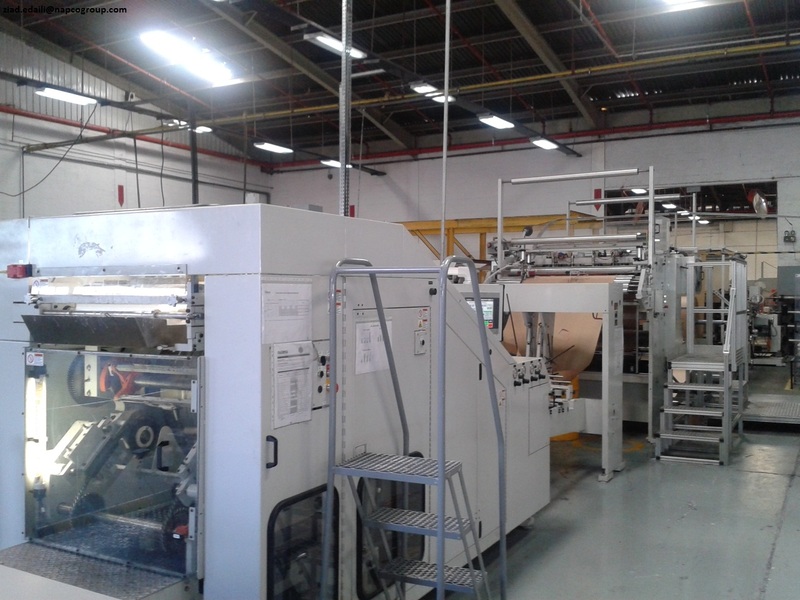 The acquisition of the new machine enables National Paper Products Company to meet a wide range of customer demands and ensure on-time delivery with the machine offering faster production. The paper packaging manufacturer produces self-opening sacks - regular with flat handle for the retail and catering sectors in Gulf Cooperation Council (GCC), the Middle East and Africa. National Paper Products Company, located in Dammam, Saudi Arabia, meets customer paper packaging needs in Europe, the Middle East and Africa. Established since 1956, National Paper Products Company was the first manufacturing plant of paper bags, cement bags, tissue rolls, and plastic crates in Saudi Arabia. National Paper Products Company is a Napco company and a member of INDEVCO Flexible Packaging, a division of INDEVCO Group.